Remember everyone of these statements..........Was the good 'ol days for sure. >>>>> Pasta had not been invented. It was macaroni or spaghetti. >>>>> Tea was made in a teapot using tea leaves and it wasn't ever green. >>>>> Chickens didn't have fingers in those days. >>>>> None of us had ever heard of yogurt. >>>>> Healthy food consisted of anything edible. >>>>> Cooking outside was called camping. >>>>> Seaweed was not a recognized food. >>>>> Sugar enjoyed good press in those days, and was regarded as being white gold. >>>>> Prunes were medicinal and stewed. >>>>> Surprisingly Muesli was readily available. It was called cattle feed. >>>>> Pineapples came in chunks or were round with a hole in the middle, in a tin; we had only ever seen a picture of a real one. 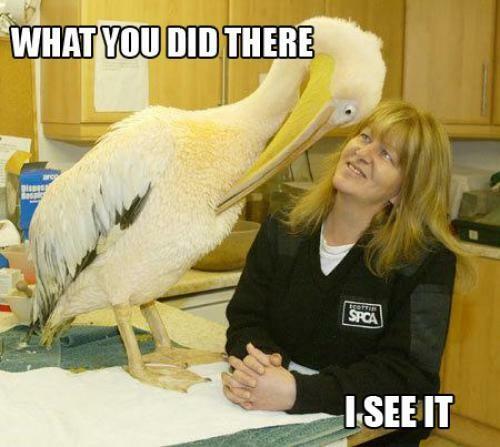 >>>>> Water came out of the tap. If someone had suggested bottling it and charging more than gasoline for it, they would have become a laughing stock. >>>>> There were three things that we never ever had on/at our table in the fifties . . . elbows, hats and cell phones! >>>>> "Take it" or "Leave it"
Grilling was not just reserved for camping in the 1950s. 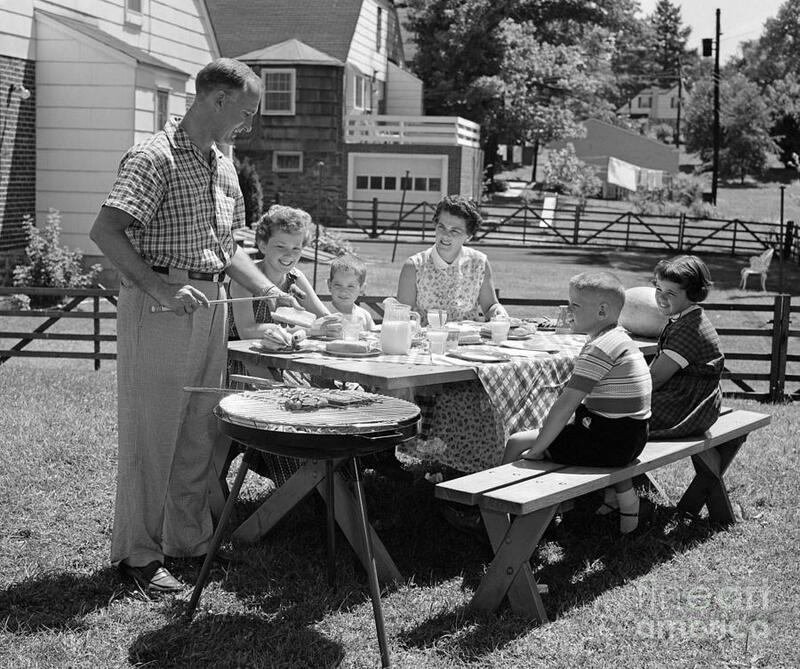 The 1950s were when the backyard grill and associated backyard parties first became super popular. The ubiquitous Weber Kettle was released in 1951, and by 1958, 1/3rd of American homes had a backyard grill. Oh, and there were always two choices for each meal, "Take it" or "Leave it"
Not at my Dad's table. Your choices were "Eat It" or "Sit there until you eat it or starve to death." 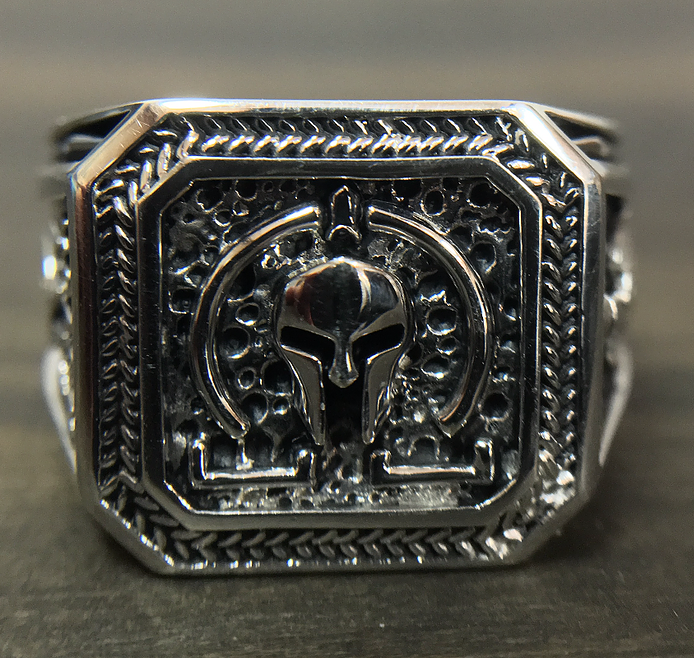 When I got married, I made an agreement with my wife. She will NEVER attempt to serve me liver from any animal, cauliflower, broccoli or parsnips no matter how well disguised with sauces, nor any boiled greens other than cabbage. Furthermore, she is to avoid, whenever possible, cooking any of the above while I am in the house. The only exception to that is broccoli, which she loves. I don’t recall when I first saw a tea leaf, but it was after the 1950s. Before then tea was labeled “Lipton,” came in a bag because it was ground to the texture of river silt, and was why I didn’t like tea until I was exposed to good varieties much later. If it hadn’t been for the expression “Reading the tea leaves,” I wouldn’t have known tea had anything to do with leaves until after I left home in 1965. 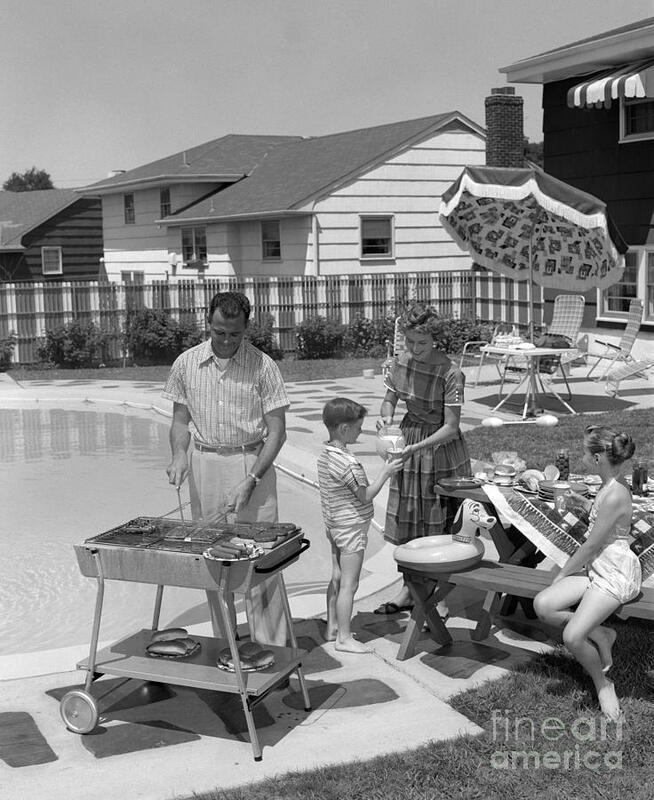 And yes, we had grills that we cooked on outdoors during the late 1950s. As for seaweed, I’m pretty sure that the Japanese and other Asians didn’t wait until 1960 to discover that it was edible. Potato chips came in a big metal tin. Utz comes to mind. Maybe our Dads were brothers? Raised on a farm in the 40's and 50's there were very few scraps left after a meal, what was left went to our animals and our pet dogs or cats, egg shells banana peels, orange peels,and other such things were thrown into the garden for humus to loosen the soil and enrich it for planting.Not much was just thrown out like today. Milk was delivered & had cream on the top. Fresh fish was caught in a rented boat & brought home for mom to fry. Watermelon was only available in season. Plums were small, dark blue & were very sweet, not hard as a rock & sour from the grocery. Bread was only white & sliced unless the Italian neighbor brought us some of her home baked bread. Corn bread was crumbled into a glass of buttermilk with salt & pepper & eaten with a spoon. Crisco was for baking pies. Potato chips came in a big metal tin. We had Charles Chips, delivered to the front door. Stale white bread was crumbled and thrown to the birds in the back yard. It wasn't croutons on salad. Oh, and salad was lettuce and tomato wedges with Kraft French or Thousand Island dressing. Oh, and Russian was Kraft salad dressing too, not collusion. Some of those things are better left in the '50s. I'm glad we have yogurt and salt and vinegar potato chips. Fresh pineapple = delicious. 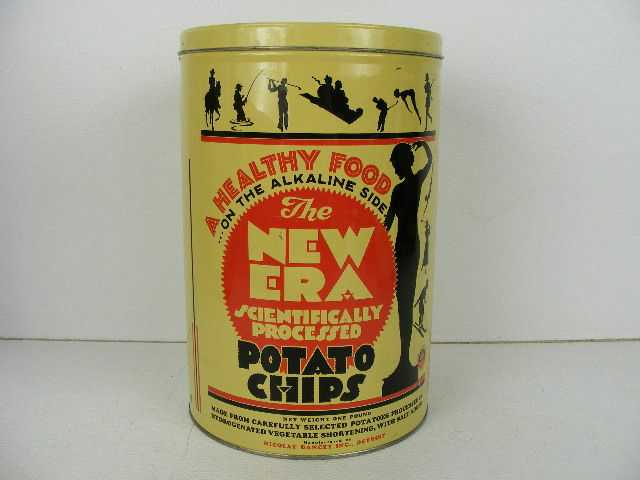 In Detroit, the big tin of chips was New Era (and they were GOOD!). Sometimes we had a third option: Having it for breakfast. I did beat him at his game once though. I had a big blob of cottage cheese sitting on my plate that I refused to eat. I warned him that if I did, I'd throw up. Bedtime came and went and finally it was put in the fridge until the morning when I took my place at the table. Finally, I did eat some of it and promptly threw it back up. He gave in. I really wanted to say, "I told you so", but didn't have the balls to mouth off to him like that.